Today Apple releases the GA version of OS X 10.9 as a free update. 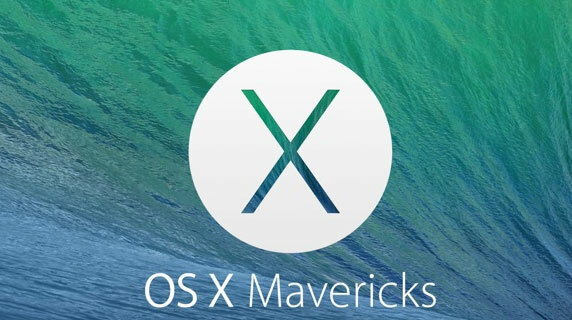 If you need to upgrade to Mavericks, we’ve prepared a new update of Studio for you. However, a number of the native SDK software vendors have some kinks remaining in their products, so if you are using HAXM-accelerated Android emulators, Tizen emulators, or BlackBerry emulators, we recommend holding off upgrading to OS X 10.9 until these issues have been sorted out. The version of Eclipse upon which Studio 3.1.3 is based has issues with file selection dialogs in Mavericks. We’ve corrected this in Studio 3.1.4 by changing the version of Eclipse upon which Studio is based. A guide to visual changes between Studio 3.1.3 and 3.1.4 is available. Previous articleWin an iPad Mini and an iPhone 5s. When I try to update Appcelerator Studio using the RC stream the “Available Updates” dialog says “Cannot complete the install because of a conflicting dependecy”. Fokke: Which version of Appcelerator Studio are you updating from? @Fokke I ran into the same issue. The issue was that I had the LiveView feature installed separately…it’s now bundled, so that needs to be uninstalled first. Follow the instructions and then try to re-update. The problem here is that Mavericks removed the base Java install, and if you had other versions of Java installed, it used symlinks to share the SSL cert files. So after you upgraded to Mavericks, the symlinks now point to nonexistent files. 3. Use the installer to install fresh. This will result in good cert files under /Library/Java/JavaVirtualMachines/jdk1.7.0_45.jdk/Contents/Home/jre/lib/security/. Then launching Studio should work. did everything Michael suggested (in October 28, 2013 @ 8:53 pm post) – still can not run Studio. — downgrade the OSX? how? — is there a Studio update which runs on 10.9.1? My Titanium development is on hold due to this issue, customers are furious. Upgrade to Studio 3.2.0. It will run on Mavericks. I can login to the web site with the same credentials, but not to the Studio. I even created new account, but result is the same… Any suggestions? … I still can use the Studio – can not login. When I run CLI, such as “titanium login” – I can login with no problem, but when I run the studio, I can not login at all, not with my account, nor with a new account (which I created in order to try to login with it). Please help! @Sebastian, there is this fix that seems relevant, but it was fixed in 3.1.3: https://jira.appcelerator.org/browse/TISTUD-5283. Can you describe your issue in more detail? I am having this same issue. I got update 3.1.4RC for Mavericks and when I run the app in the iOS simulator, I get no app-generated log messages. I get the usual log all the way up to “[INFO] : Focusing the iOS Simulator” then nothing. Is there a fix for this? I have the same problem. Console is quiet after “Focusing the iOS Simulator”. The problem didn’t go away with the RC as I hoped. Logging works when I use the 6.1 emulator. Either someting has happened to the version 7 emulator, or Titanium 3.1.3 broke something. What is difference between Appcelerator Studio and Titanium Studio? Hi, I seem to be getting a conflicting dependency error when I try to upgrade. Any recommendation on how to fix this? Thanks. Hi Sagar, look like you have org.eclipse.draw2d.feature installed on top of the existing version of Studio. Since Studio 3.1.4 updated its Eclipse base to 4.3, you would need to uninstall the draw2d feature, then update Studio, and afterward re-install an Eclipse 4.x compatible version of draw2d feature. HAXM Hotfix now available for Mavericks, works great!